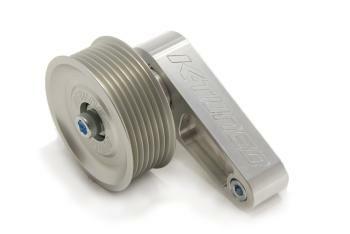 The K-Tuned Adjustable Pulley kit is the newest addition to our ever growing parts line-up. This simple and very useful part has been in development for a little while now, and was designed to solve K-series accessory belt adjustment issues. 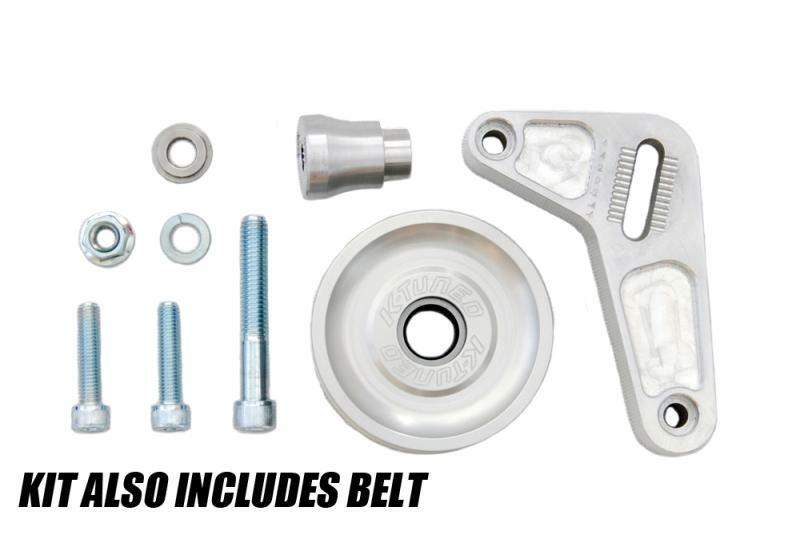 Up until now, people that chose to use the oem Honda Idler pulley have encountered problems with over-tightened or loose accessory belts. This is because the original factory idler is fixed and not adjustable. The K-Tuned Pulley kit allows the user to correct the length of the accessory belt by manual adjustment, to keep tension in the perfect service window. This is especially useful as the belt stretches over time. 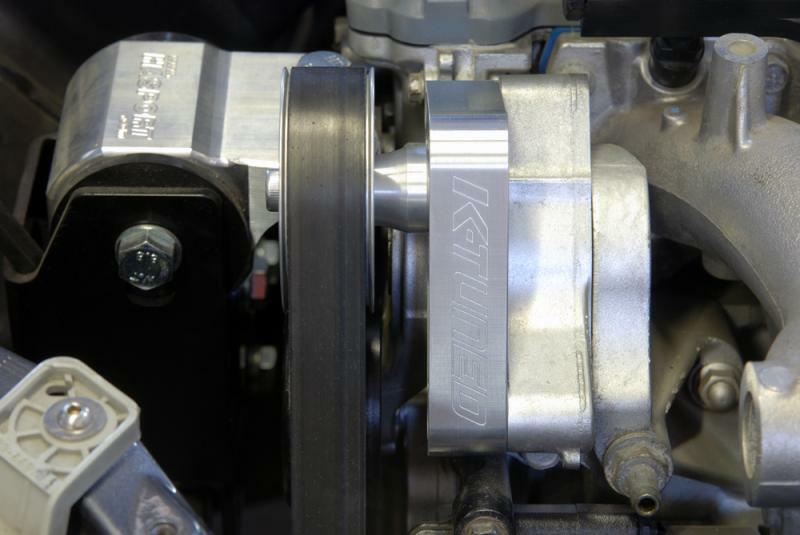 K24 / K20 engine combos will appreciate the adjustability of this part even more because of the parts mixing that occurs on these setups. 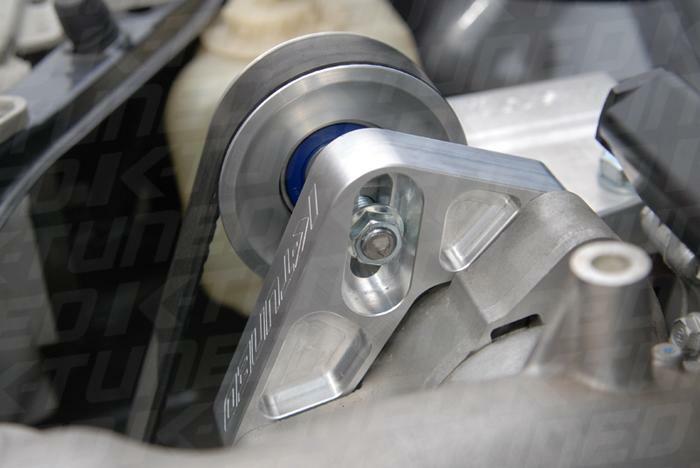 For some swaps, like a K24 engine swap into a 06-09 Civic, people have even started using the smaller K20 crank pulleys in an attempt to correct the accessory belt length. 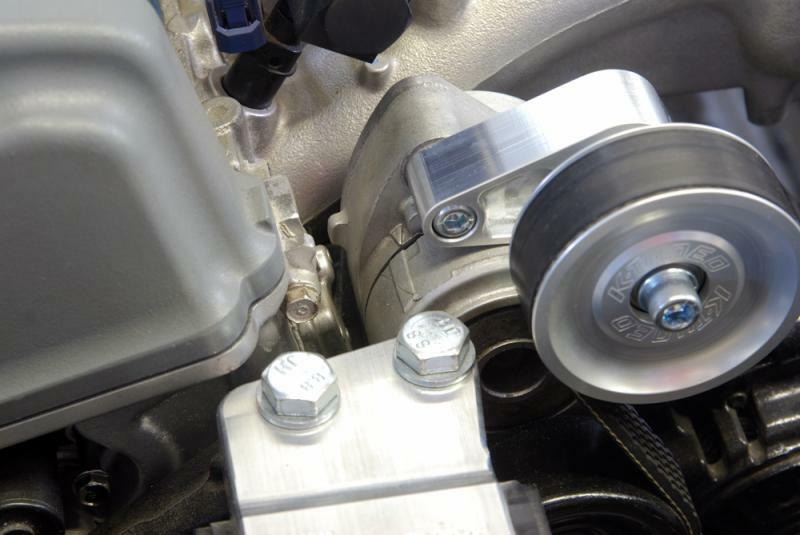 The down side of switching the crank pulley is that accessories such as the water pump and alternator become over-driven by the smaller pulley. 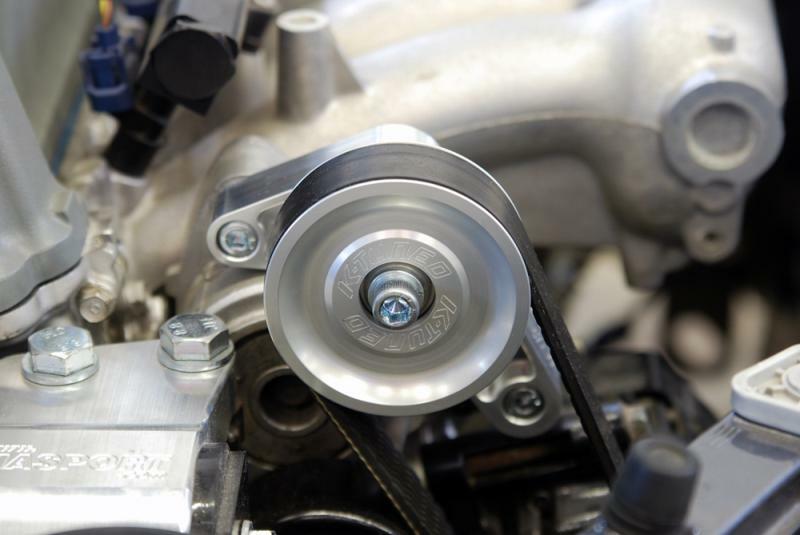 Unlike our very popular A/C & P/S Eliminator Pulley Kit that relocates the alternator, the K-Tuned pulley kit also allows the user to keep A/C installed if desired. However, as a default the kit is sold with the correct length belt to delete A/C. Available for all K20 and K24 engines. To finish the deal off, we’ve priced this kit perfectly, so it doesn’t hit the wallet too hard. 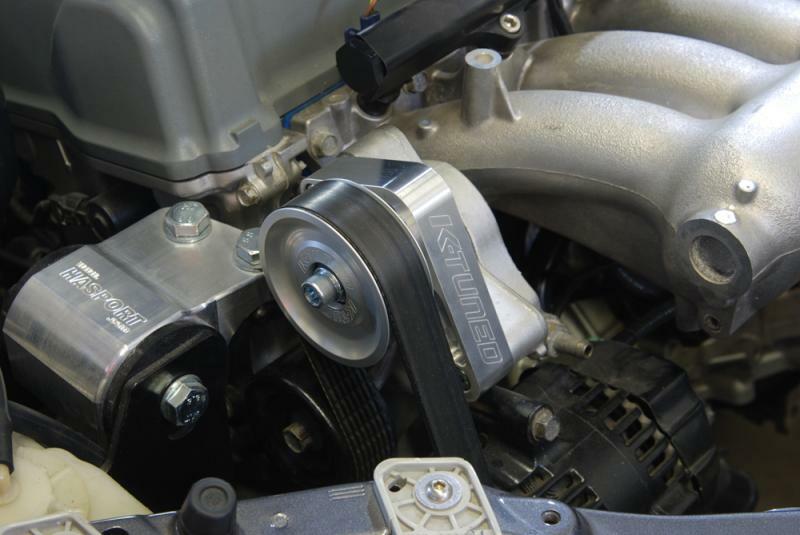 Unlike our very popular A/C & P/S Eliminator Pulley Kit that relocates the alternator, the K-Tuned EP3 pulley kit also allows the user to keep A/C installed if desired. However, as a default the kit is sold with the correct length belt to delete A/C. Available for all K20 and K24 engines. To finish the deal off, we’ve priced this kit perfectly, so it doesn’t hit the wallet too hard.